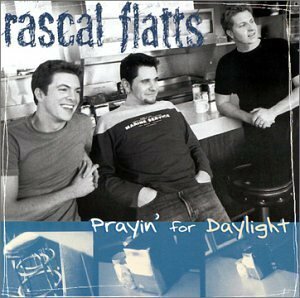 "Prayin' for Daylight" is the debut single by American country music group Rascal Flatts. Released in spring 2000 as the lead-off single from their self-titled debut album, it peaked at #3 on the Hot Country Singles & Tracks (now Hot Country Songs) chart. The CD single was released in April 18, 2000, with B-side "Long Slow Beautiful Dance".